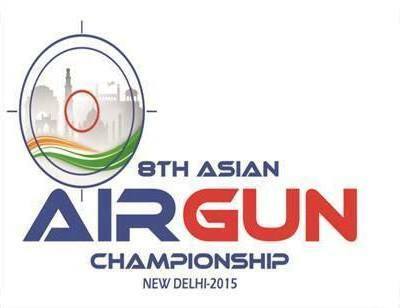 8th Asian Airgun Championship will be held from 25th September to 1st October 2015 at the Dr. Karni Singh Shooting Range, New Delhi. Fans will get to see top quality international shooting after five years when Indian stars Abhinav Bindra, Gagan Narang and Jitu Rai lock horns with the likes of reigning Olympic and World Champions Jin Jongoh (South Korea), Zhu Qinan (China) and Yang Haoran (China). There are 12 men and women events over four days of competition in the senior, youth and junior categories. Airgun competitions are restricted to the Air Rifle and Air Pistol segments. “Shooting has been India’s most successful Olympic sport after hockey. We are confident we will be able to bring greater laurels for the country, come 2016 Rio Olympics. This championship will serve as part of the ongoing preparations towards that goal,” National Rifle Association of India (NRAI) President Raninder Singh said. The senior India shooting squad has already bagged five Rio Olympic quota places,out of a maximum 30 that each nation can win. The five Rio Olympic quota winners are 2008 Olympic gold medallist Abhinav Bindra, London 2012 bronze medallist Gagan Narang, pistol aces Jitu Rai and Gurpreet Singh and Glasgow Commonwealth Games gold medallist Apurvi Chandela. The next assignment for the squad begins on August 6 in Gabala, Azerbaijan, where the World Cup for Rifle/Pistol/Shotgun will see 35 more quota places secured for Rio 2016.